RECRUITING: HELPING PLAYERS STAY ON TRACK! We've had a ton of questions regarding this topic over the past couple of months and these seem to be the biggest questions. · What is the NCAA clearing house and what does my son have to have done before playing a college sport? 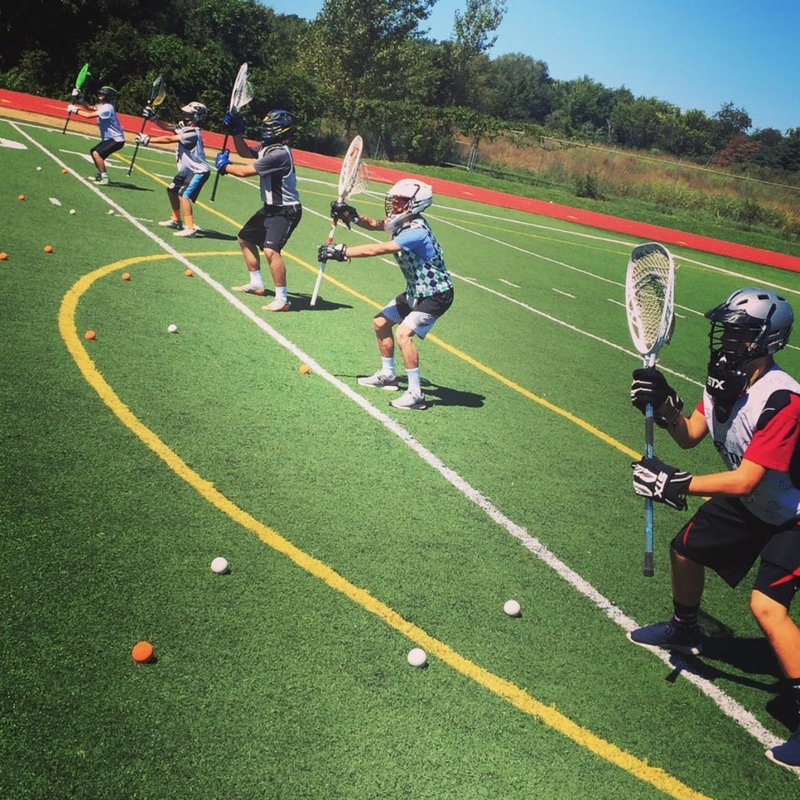 · How can my son get recruited? · When should he start looking at schools? · Are we too late to the process? · What can True do to help my son get recruited? · Is there anything we (parents) have to do? · What are unofficial visits? · What are official visits? · When can coaches talk to my son? · When can they call my son? · How do players commit early? · What gives my son the best chance at going to a school he wants? We'll go question by question and then I'll explain a few other things you should know. 1. What is the NCAA clearing house and what does my son have to have done before playing a college sport? The NCAA Clearing house, know known as the NCAA Eligibility Center is an agency of the National Collegiate Athletic Association that certifies the initial eligibility of all perspective student-athletes who register to compete as a freshman athlete at NCAA Division I and II member institutions. (Courtesy collegesportsscholarships.com). http://web1.ncaa.org/ECWR2/NCAA_EMS/NCAA.jsp - NCAA Eligibility Center. 2. How can my son get recruited? There are many ways this can happen. I want to first stress out the importance of the parents and the player putting in work to make this happen. Yes you can attend recruiting events on the east coast, yes you can attend a certain colleges recruiting event. The player has to put himself on the radar of the coaches. 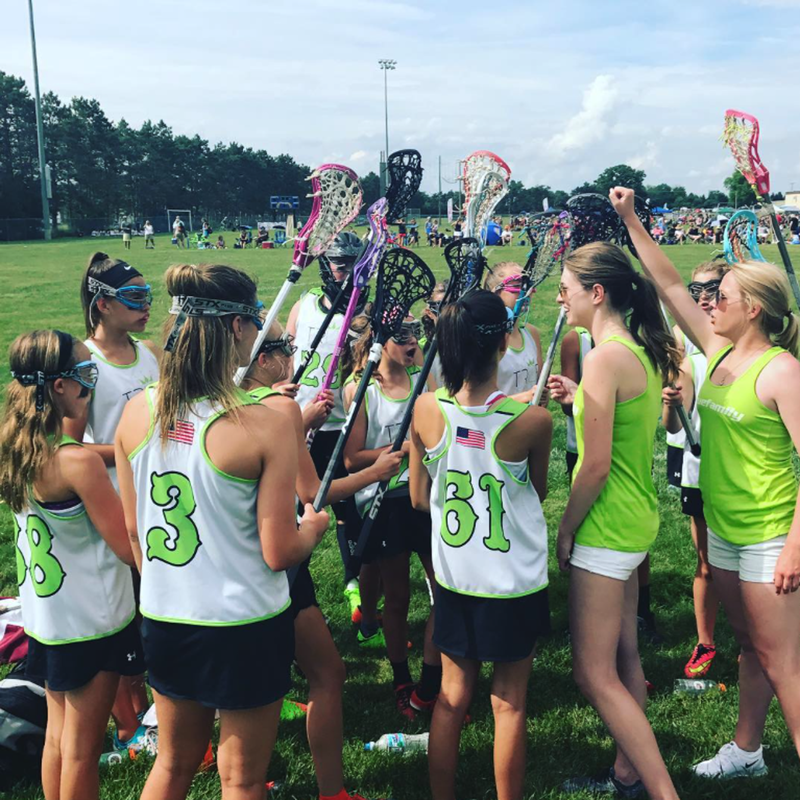 A personal email to them stating their desire to play in college, what lacrosse has meant to them so far, and how it will help them grow more throughout their college experience. Being a college coach, I get letters from kids simply stating where they are going to be at what time. I know nothing about the kid, his character, his work ethic, so why should I drop what I'm doing to attend a tournament that Johnny is playing at? Give them something personal! Going to a recruiting tournament will get you exposure, but you have to put in the time while you're there. If you see a coach of a school you're interested in, go talk to him. Have a plan of action in your mind of what you want to talk about. Coaches want to see confidence, intelligence, and modesty. Tell him your excited he's there, and let him know what field you're playing on next. Attending a college recruiting camp at a certain college that you're interested in is even better. At the same time, adhere to the advice above. Don't just walk through the motions, talk to the coaching staff, be confident in your ability. Coaches want to hear from the players, not from the parents! 3. When should he start looking at schools? This mainly depends on what kind of school your son is looking at. It's an upper tier DI school, work has to be put in during their freshmen and sophomore years. Attending recruiting showcases and college recruiting camps. Put yourself on the radar!! Lower DI schools will start touching base through the second half of your Junior year and through the summer. As for NCAA DII, DIII, and MCLA schools, the summer of their junior year, especially early on (June, early July) is the prime time for recruiting. At any of these levels it's never too early to reach out to them. Send them a tape of your play! That's how they will know what they're dealing with. 4. Are we too late to the process? If you have plans to go DI and you're into your senior year, it will likely be too late for you. If you have hopes of competing at this level, serious work must be done immediately following your sophomore year to send out tapes and information about yourself, if not sooner. At the other levels, this is still a good time to put yourself on the map. After your Junior year, June at the latest, is when you want to reach out to DII, DIII, and MCLA schools. 5. What can True do to help my son get recruited? We do things such as this, give advice about timing, how to reach out, when to reach out, and what to say to coaches. We also have relationships with coaches from many different colleges and universities. We will only reach out to a school if we think your son has potential of playing at that level. We will give your son a realistic overview of what level he will succeed at and grow as a person. We will help match a school that best suits his personality and interests. We will also tell him what his strengths and weaknesses are and what he can do to heighten his chances of getting into a certain school. We view lacrosse as a way to enhance his education and college experience. We want to make sure your son has the right perspective of why he wants to play lacrosse in college. We do meetings and check ins to see how grades are, how the recruiting process is going, and how lacrosse as a whole is going. We ask that the student athlete reach out to us for these check ins and meetings. This is their future, and we want them to be in control of what happens to them. 6. Is there anything we (parents) have to do? Parents have to be informed about the information listed above. They have to be supportive of their son, but let him be the one to pursue an education with the chance of playing lacrosse. The whole point of college is for your son to start to make decisions on his own. I know it's hard with a 15-17 year old. Many of them don't know what they want, and some are harder to push. Also, sometimes the push from the parents is not well received by their son. This is where you set up meetings with us and we help you put things into perspective for him. 7. What are unofficial visits? These are usually taken during your Junior year. They are paid by the player and his family. This is a way for the student athlete to get on campus and talk to the coaching staff directly. 8. What are official visits? These take place during your senior year. For DI schools, this is usually used as a get to know the players, team, and coaching staff because at that time, they will have likely already committed to going to that school. For other levels, it's a good time to check out admissions and get a tour of a campus. The expenses of the athlete are paid for, but parents do have to find their own accommodations. 9. When can they call my son? Coaches can call your son starting July 1st after your Junior year. They can email your son starting Sept. 1st of their junior year. 10. How do players commit early? Players can verbally commit to a college but it's non binding. It's done before they can sign a letter of intent. The time of verbal commitments usually takes place from sophomore to Junior year. Bottom line, it comes down to what kind of effort the student athlete wants to put forward. Of course now timing is of the essence with the push of recruiting starting earlier and earlier. The trick is to be prepared and put in the work yourself. Accounts like captain U can help, but it's better to reach out to coaches on your own with a personal message and a video. Realize they can't write back regarding interest in you until Sept. 1 of your Junior year. Put yourself on the radar, they'll tell you to fill out a recruiting form to put you in the system, and it will go on from there. You can follow up with periodic emails stating where you're going to play that summer, but keep it personal! We're here to help, but we want to see players that want to help themselves!! The first questions we get when sending emails or making phone calls are about character, toughness, family. They want to know more about the kid than just their lacrosse ability. Plenty of kids have great abilities but can they handle the college setting, can they handle the workload, can they handle the responsibility? This is what they want to know before they make a decision. Your son has to make a big life decision of what's best for him as a 16-17 year old. It's not easy. We'll weigh the pros and cons of a school and the situation with you to give him the best chance of succeeding. ©2019 Kansas / SportsEngine. All Rights Reserved.